The O’s beat Newport County in a ‘do or die’ encounter in deepest Wales by a fine four goals to nil in nervous circumstances as Josh Koroma netted a hat trick in a new look O’s team in the week Orient faced a winding up petition. Yup, you read it right Orient absolutely stuffed their Welsh opponents in what must be almost curtains for Newport in League 2. Both clubs went into the match in bottom and second bottom positions with terrible current form knowing a defeat for Newport would leave them totally stranded at the foot of the table with the Nationwide League beckoning for next season. 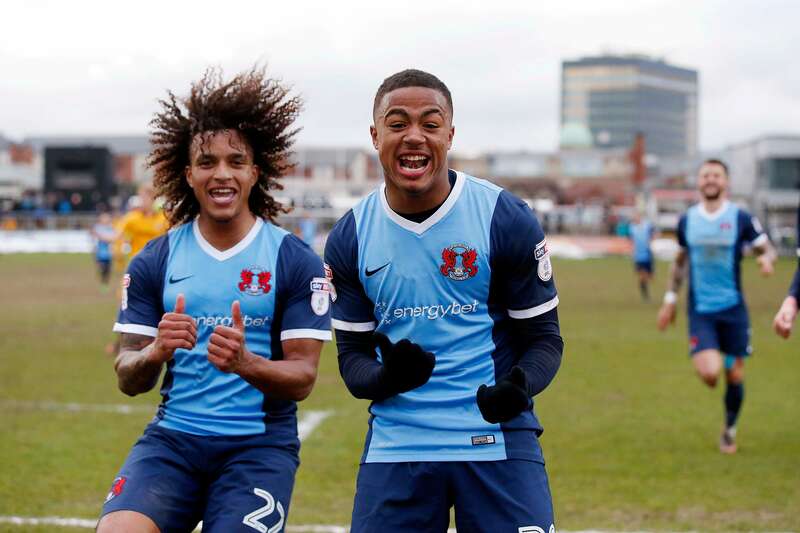 A defeat for Leyton Orient would have meant them almost certainly joining them barring a miracle in the latter stages of this season. If the Orient returned home feeling like the cat that got the cream then they must have felt as sick as dogs when they found out the scores of the other teams at the bottom of the table as their rivals almost all came away with wins or a point. Still this will have been a huge confidence booster for the O’s and three all important points on the board. Illness and injury had been rife in the Orient camp but David Pipe and Josh Sheehan had both been ill and Sid Nelson, Joss Labadie and Sean Rigg were all available again after injury. So changes were made from the latest midweek defeat by O’s boss Danny Webb with an eye on youth. They were without Gavin Massey who was suspended too. Nevertheless Webb also had injury doubts over Tom Parkes, Aron Pollock and Nigel Atangana so it was a bit of a pick and mix team that took to the field. Still it wasn’t all roses and daffodils for Newport boss Graham Westley who was in the same boat and it seems to be sinking fast. Mark Randall and Ben Tozer were both fit, but weren’t considered for selection by Westley, as they want to leave the club and they are still without long-term absentees Lenell John-Lewis and Jamie Turley, while Michael Flynn and Mark O’Brien were sidelined and Jaanai Gordon was suspended. Although contrary to popular belief Lenell John-Lewis was not an absentee due to going shopping. On a more realistic note Newport County’s survival hopes were dealt a potentially fatal hammer blow with this 4-0 hammering at Rodney Parade. Orient took the lead on eight minutes when Steven Alzate tapped home in his first start from Josh Koroma’s cross and they never looked back after that. 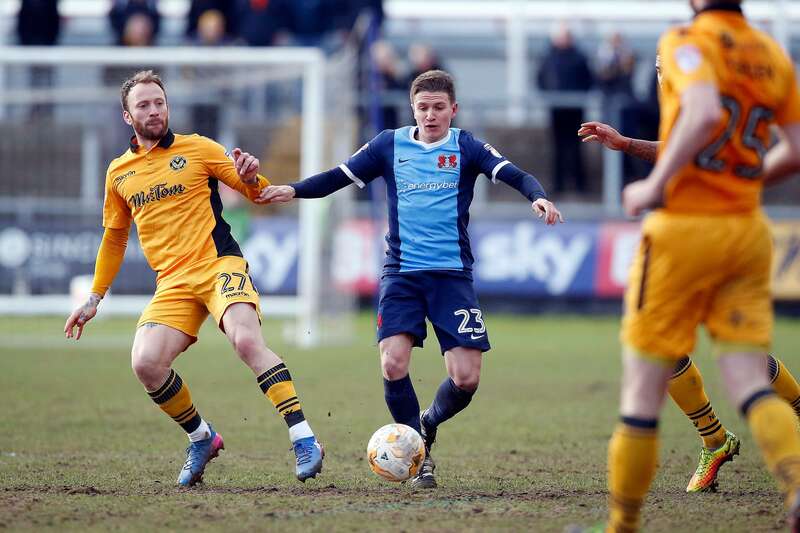 Sam Dalby’s pass then split Newport’s defence as Koroma scored his maiden O’s goal, before the same duo combined for the third just before the interval. Koroma sealed the win, and his hat trick, with a penalty on 64 minutes and it was all over as Newport surrendered the points. The Exiles remain bottom of League Two, now a daunting 11 points adrift of safety, while Orient are 21st, five points behind Notts County who slipped back down the table. It was a day to forget for Newport boss Graham Westley on his 49th birthday, with the boss dealing with more boos and jeers from the home fans a week after he was abused by supporters at Mansfield. They didn’t even get him a cake as he trudged disconsolate and that was just at half time with his side 3-0 behind already. However, goalkeeper Charlie Grainger will remember his day fondly as he made just a second appearance in the Football League. The 20-year old denied Ryan Bird’s header acrobatically with the score still level and also repelled an effort by Marlon Jackson by tipping over his curling shot. Newport were defensively shambolic, with the high line they fielded in the first period being exposed time and again, with Day exposed and helpless to stop the Londoners as they broke at speed. Teenagers Alzate and Koroma where a constant menace with their speed and three composed finishes before the break effectively won the contest, with Dalby also producing an eye-catching display in midfield, not letting the terrible playing surface dull his range of passing. The Exiles barely registered an effort on target in the second period, with a stirring comeback never seeming a remote possibility, especially once Mark O’Brien dragged back Alzate and Orient fired home their fourth just after the hour. Victory provides a huge fillip for Orient, in a week that saw them issued with a winding up petition. For Newport, the season only looks likely to end in one way now. The O’s were jubilant with a new look team including teenagers, a sturdy midfield and goal scorers! Leyton Orient manager Danny Webb said: “We are happy, most importantly with an impressive performance. 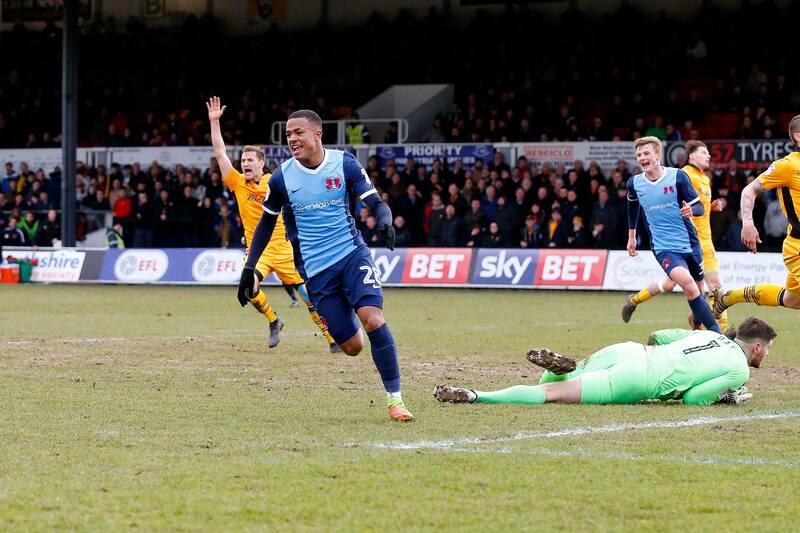 Newport County manager Graham Westley afterwards said: “It is a devastating defeat, not just the result, but we were low in a lot of commodities. “We had a lot of the game and a lot of the play, but they were very clinical.